Saving money on everyday purchases does not have to be a hassle. You can save money with a little prior planning, use of technology, and a little thinking outside the box. Saving money does not have to mean depriving yourself of the things in life that you love. You have to just be a smart consumer. Learning how to spend your money wisely is just as important as making it a regular habit to save your hard-earned cash. For example, do not leave home without a shopping list. Without a list, you’ll just be encouraged to make random purchases. Also it’s a good idea not to hit the grocery when you are hungry. Obviously timing is important when it comes to spending your money. Nevertheless, there are several things you want to keep in mind if you want to avoid the temptation to overspend. Part of spending wisely entails doing a bit of research before walking into a brick-and-mortar location or going online. Therefore, it pays to comparison shop. Make certain that you are getting the absolute best price. For instance, if you choose an item online, make sure that what you pay for shipping and handling will make it worth your while. Also, get into the habit of clipping coupons. Using coupons works best when you use them on purchases that you plan to make. Some online sources for coupons include WowPrintableCoupons.com which is a site where you can print out coupons for retail establishments, restaurants, travel, and online purchases. The site offers rebates as well. Another site you should check out is The Coupon Clippers site which bills itself as the largest online grocery clipping service. Using this kind of service can help you save at least 20% off your total grocery cost on a weekly basis. Doubling your coupons of course saves you almost half of what you’d normally spend. Of course, if you do not have time to clip coupons, you can use your cell phone to obtain mobile-type coupons. In fact, one application used for this exact purpose is Cellfire, which downloads and houses codes for coupons on cell phones for free. This type of technology, according to research, will create around a whopping $7 billion in revenue by next year. Naturally, a part of spending wisely entails using your credit and debit cards with some form of reserve too. You cannot become too cavalier, especially when it comes to using your credit card. For example, did you know that your credit rating can drop if you use more than 30% of the credit line that is available on your account? To minimize the fees and interest on your charge cards, make an effort to limit your purchases to what you can pay off every month. Only carry one card instead of several to curb both your purchasing and spending. When deciding on items to buy, it definitely pays to shop around. For instance, retailers can offer savings in a number of ways. While some stores provide discounts on items for a limited period of time, other stores will give you a discount on a specific item if you pay so much. Still, other retailers discount items every day. Therefore, it’s good to note these sales incentives as you shop for merchandise. If you can find a store that will match or beat the competition’s prices, take advantage of this fact as well. Setting and following a budget does not have to be all about cost cutting measures and doing without the things that you love in life. 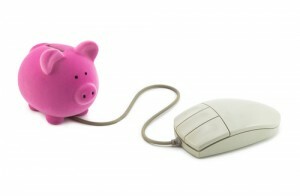 With a little careful planning, you can save money by using strategy, coupons, technology, and other innovative ideas. You have to be on the lookout for ways to save money, and you have to be willing to be innovative and think out of the box. Don’t forget one of the most important ways to save – ask for a military discount! So many times, retailers are willing to offer discounts for active duty personnel. It takes 3 seconds to ask and could save a ton! You are absolutely right. I never ask for a discount. I always forget, and I bet that it has cost me hundreds of dollars over the past eight years in lost discounts.